Do you enjoy wine on special occasions? Are you a dedicated wine connoisseur? In both cases, you won’t want the taste of your wine to be compromised. The goal with a glass of wine is to enjoy and revel in its taste. Savour the experience! Worried about someone accidently bumping into the display? Want to give your wine extra protection? Look for a wine display unit with integrated door locks. These locks will help tightly secure the bottles of wine. You don’t need to worry about precarious storage with these locks! One of the most important things when it comes to storing wine is the temperature. If the environment is too warm or too cold, the wine and its taste will be compromised when you go to open it. Its lifespan will be dramatically shortened. Part of the key to maintaining the perfect, steady temperature is air flow, which is why you should look for a wine display unit with an integral air flow system, like Silhouette’s Renoir. This will help circulate the air and regulate the overall temperature in the wine display unit so you can maintain the quality taste of your wine! In fact, the Renoir actually maintains the temperature of your wine within a quarter degree of the set temperature. Why settle for just storing your wine? Don’t hide it away, put it on display! Showcasing your wine helps you share your passion with everyone. In addition, showcasing your wine actually helps you easily identify which bottle of wine you want to have on a particular evening—no more rooting around and pulling out multiple bottles until you find what you want. One of the major features of the Renoir wine display unit that makes it more than just wine storage is its picturesque front, which features a seamless, triple pane, low-e glass. This ensures you can fully highlight all the wine you store inside the unit—no bottle will be left in the shadows! Don’t want to open the whole wine display unit to take out a single bottle? 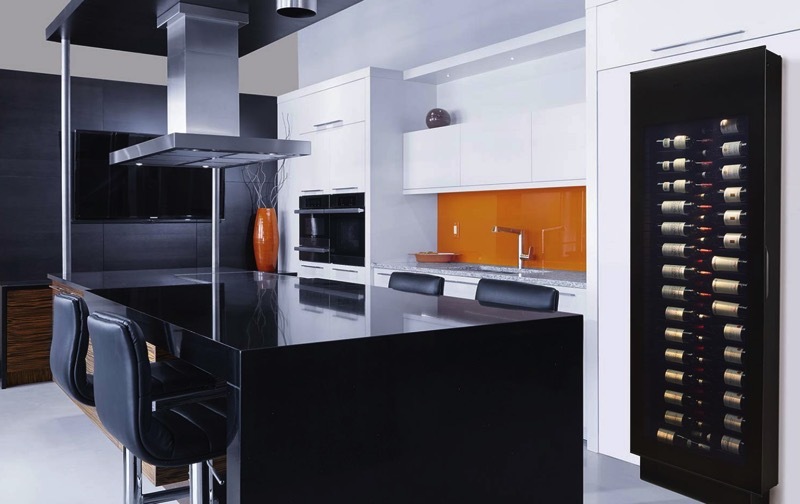 Choose a unit with discreet pocket doors so you can not only easily remove a single wine bottle, but do so discreetly! Do you want to really put the spotlight on your wine? 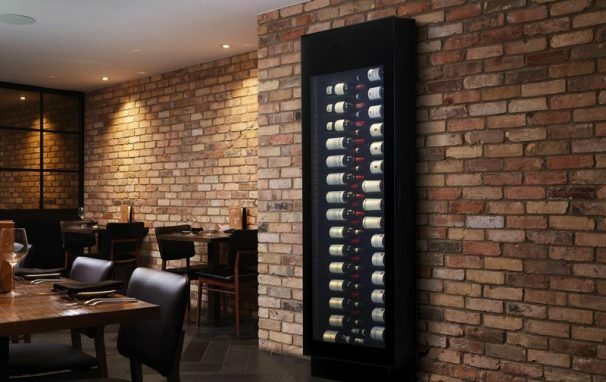 LED lighting will enhance your wine display instantly! You can even kick things up a notch when the lighting activates because of a motion sensor—you reach for wine, the display shines the light. Your wine tastes good, so why not make it look good too? Choosing a wine display unit with a sleek and innovative design, like the Renoir, ensures the wine display unit merges perfectly with your home, drawing the focus to the bottles inside. Have a Barbecue and Beer With Danby This Holiday Weekend!